1Select the slide or slides to which you want to apply the alternate Slide Master. 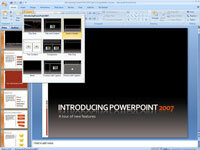 To select more than one slide, hold down the Ctrl key and click each slide that you want to select. 2Click the Home tab on the Ribbon and then click the Layout button (in the Slides group). 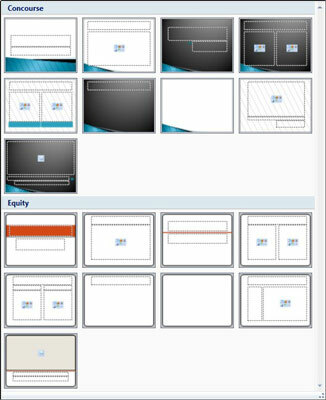 See all the available layouts. 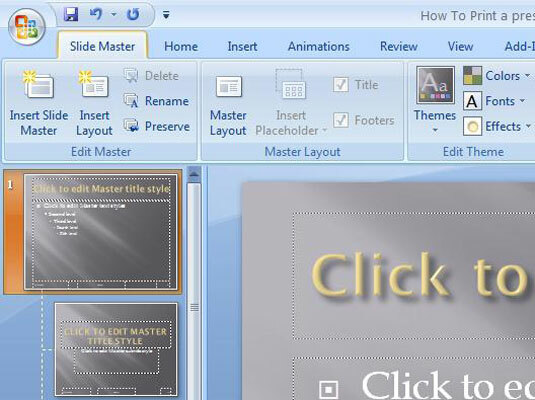 3Select the Slide Master layout you want to apply to the slides you selected. 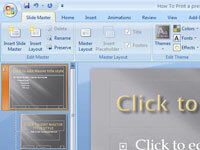 The Slide Master is applied to the selected slides.